It's been awhile but I'm tentatively going to share that I think I'm back! 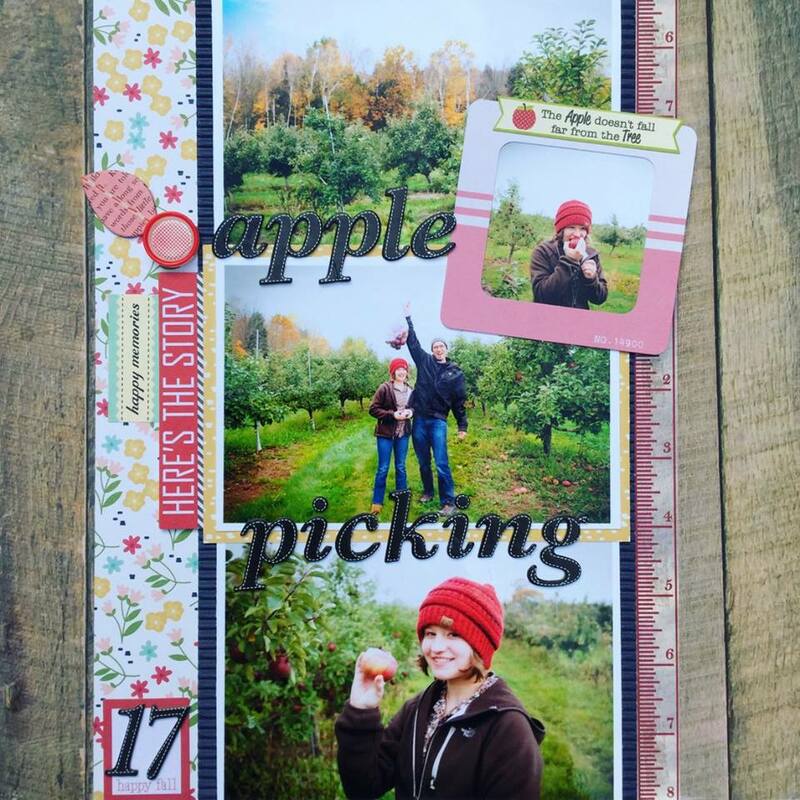 I'm back to blogging, scrapbooking, attempting to take some time for myself again when it comes to creative things. This summer was pretty trying at times. It was rough if I'm being honest. I'm feeling hopeful that coming back to this space in an authentic way will be just what I need to come back to feeling more like myself. 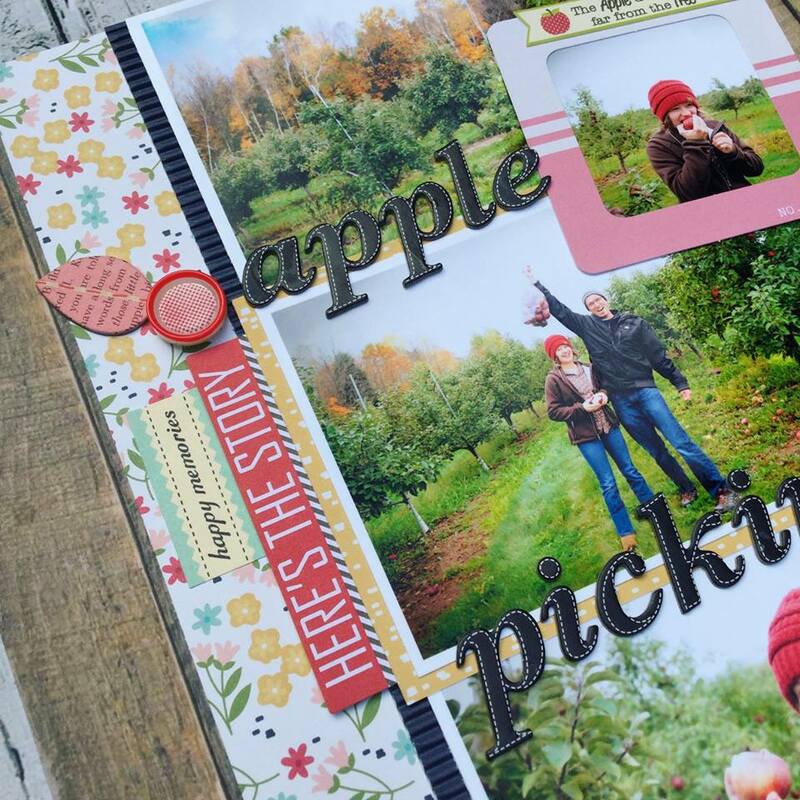 What better way than to jump right back in with sharing a scrapbook layout! I created this layout this weekend using photos from last fall on one of our trips to Helene's Hilltop Orchard in Merrill, Wisconsin. 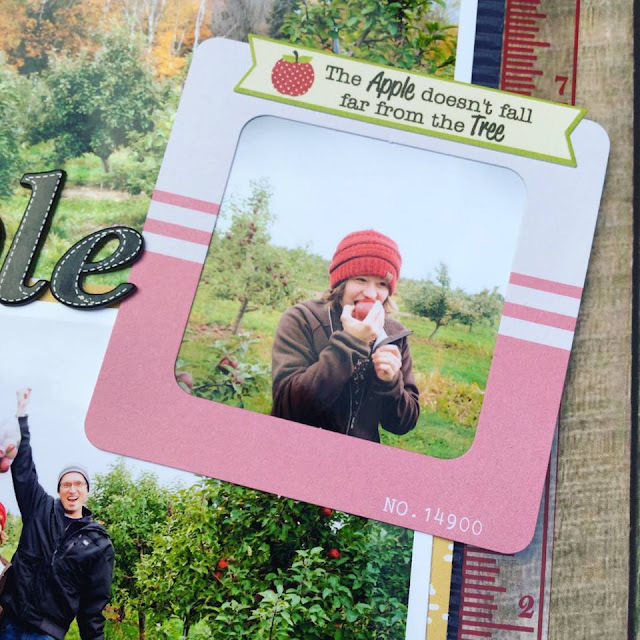 I enjoy visiting this orchard because it's not too far of a haul for us travel-wise and of course, it's always a treat to get some tasty apples that we get to pick ourselves. Picking the apples is my favorite part. All of these papers and embellishments are super old and are from my stash of supplies. I can't recall the last time I purchased scrapbook supplies! It's fun challenging myself to use up what I have on hand. I created a fun little "apple" inspired element using a button, an epoxy circle sticker which I placed in the center and then adding a chipboard leaf. Simple but I like how it turned out.